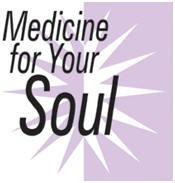 Medicine for Your Soul goes beyond traditional medicine. Dr. Barreda, a naturopathic doctor in Scottsdale, AZ, looks beyond your symptomology to the underlying cause of your dis-ease. She believes that your overall health and well-being is affected by your physical, mental, and emotional aspects and uses natural therapeutics to find balance in all areas to help you achieve your personal health goals. With balance in your physical symptoms, your thoughts, and your emotions, you can then be free to pursue your higher personal fulfillment goals – thus it is truly, Medicine for Your Soul.